It’s estimated that babies spend as much as 15-18 hours a day in their crib during their first year, which means that you and the crib are pretty much going to be your baby’s whole world. You’ll want one that fits your style, but you’ll also want something comfortable and safe. Luckily, safety standards are regulated, so you don’t have to worry about any crib you buy new. However, this is one instance where you’ll want to avoid hand-me-downs, because safety standards are always evolving. For example, drop-rail cribs are no longer sold, and some older cribs have rails that are farther apart than is considered safe. Design: Style is the one thing you absolutely do not have to sacrifice when baby comes along. As you know there are plenty of ways to stay chic during and after pregnancy as well as a whole slew of fashions for baby. Cribs are no exception! Whether you are into the more traditional look, are looking for something more modern or have pure luxury in mind there is something for every taste. Cribs come in a lot of different styles, with all sorts of materials and finishes to choose from, so it’s easier than ever to find something you love. Budget: Cribs are available in a range of prices, too, from a couple hundred pound for a simple crib to thousands for a high-end designer option. The variation owes more to design than to features, so how much you’re willing to spend depends largely on how much you love the way it looks. 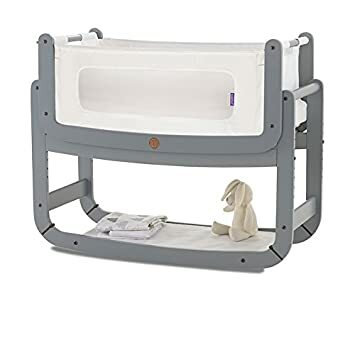 Multi-stage: Most cribs convert into a toddler bed with the addition of a simple conversion kit that opens up one side so toddlers can get in and out. Some also cover the bassinet stage, as well. If you’re looking to the long-run, this is a great way to get the most out of your investment. Health: Since babies spend the majority of their day in the nursery, you’ll want to create as healthy an environment as possible. A good solid crib is made of solid wood such as pine, beech or birch. Finishing should also be non-toxic. In addition, cribs should also make sure small, metal parts, such screws and other nuts and bolts, are hidden well. Check the crib’s materials list for low or no-VOC paints, stains and finishes; no-formaldehyde MDF; and take a look at the manufacturer’s commitment to sustainable forestry and Forestry Stewardship Council (FSC) certification. 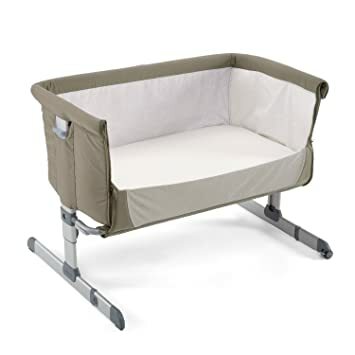 Size: A standard, full-size crib measures 28” x 52” but there are other choices that are non-standard, like the stylish Stokke Sleepi that is oval-shaped. If you’re considering a non-standard crib, just keep in mind that you’ll have to buy a custom mattress and custom sheets. Space: Although the crib’s interior has a standard size, the exterior does not. Even among standard-sized cribs, some have bigger footprints than others, so measure to make sure your choice will fit. If you’re particularly short on space, consider a bassinet, the Dream Cot or a mini crib like the fabulous Alma Urban Cot. Make sure that the slats are no further apart then 2 3/8 inches apart. This could pose a problem for baby if farther apart because they could get appendages stuck in between the slats. When they are younger the potential of slipping their head through these slats if bigger is considerably higher. This is a great feature for when a child begins to sit or stand that they don’t climb out of fall out of their crib. This is almost essential when a baby starts to sit up. This is another great protective feature that some new mothers wouldn’t think about in a crib until something happens or their child doesn’t want to stay in their crib. A good crib is one which can help you easily attend to your baby. Ask yourself what features can help you check, pick-up, and even lay your baby to sleep. You may decide to buy a model with double drop sides (where both left and right railings can be dropped down). Some of the best cribs to buy are those with convertible features. These may be more expensive but can be used longer by your child. For convertible types there’s the 3-in-1 and the lifetime. 3-in-1 convertible cribs are those that turn from crib to toddler bed to day bed. Some of these also come with storage drawers. The lifetime convertible cribs, on the other hand, can turn into all the three types of bed present in the 3-in-1, but with the last stage which is the full size bed. If you’re opting for convertible ones, make sure to get one that is easy to assemble and convert. Make sure it comes complete with all the knots and bolts, even the additional parts that make each bed stages it converts to. Before purchasing a crib, check first if it has a warranty. As a norm, items are given at least a 1 year warranty. Also ask if this comes with a supply of spare parts in case the one you have breaks. Supplying all of these is a sign that the company who manufactured the crib is committed in providing you with the best customer care. Convertible Cribs are a popular choice among parents today. There are many great reasons to have one, but the number 1 reason to have a convertible crib is the value this crib will bring to the home of your little ones. Here are few more fantastic benefits that these cribs bring to new and experienced parents, before you make your final decision. Convertible cribs grow with your child. The very best benefit of a convertible crib is that as a baby grows and becomes a toddler and eventually an older child, many of the basic cribs can be converted into a regular full sized bed. This saves the customers the high cost of purchasing additional new furniture as the little one grows, thereby getting the full value of two beds in one economical price. By simply turning the crib into a regular bed, it will also save parents all those hectic hours of shopping time. Save money by buying a convertible crib. Another benefit these cribs have is by providing a big savings in the family finances. Quality cribs can be costly and it is obvious that by the necessary purchasing of more furniture in a short time will definitely put a big dent in the family’s bank account. 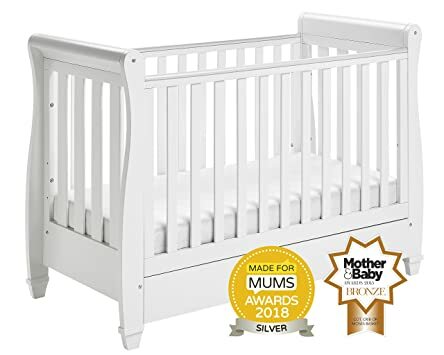 Also, Convertible Cribs are a real bargain being priced reasonably and the quality of the workmanship makes them durable for many years to come. All this saves families money which would otherwise be spent on additional beds and cribs. Easy To Assemble. The next great benefit these cribs bring to a home is that they are very easy to set up. This can be an essentially important point because the person setting up the crib may be pregnant or even someone recovering from an injury incurred during their pregnancy. 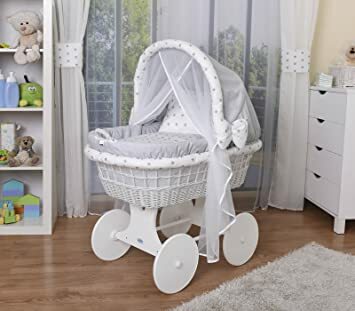 These are some of the important reasons that these cribs are such helpful items, being designed for easy setup, which other brands do not carry. Convertible cribs are trendy and stylish. One other benefit these cribs bring is the improved style and durability which have progressed over time. Most recently, models are made from softer woods which are now under the practice of improved treatments. Soft wood is often used due to it’s durability. Customers love the stability and durability these cribs maintain over years making them much loved items of the quality of heirlooms. Many styles and brands to choose from. The last benefit to mention is that there are many great styles to choose from these days. Manufacturers are providing many more options than ever in the past. Customers have the ability to choose from a whole host of options designed to fit their child’s personality and preferences. Due to the fact that these cribs are not new items, many problems and improvements have already been addressed in the process of manufacture.